Every Bride wants an amazing wedding day to remember forever. Making it great is easy with the right plan in place! Focusing on your First Look Wedding Timeline is a great place to start! 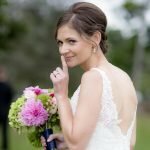 Wedding Timeline for your First Look. Let’s face it, brides get stressed out quickly if the schedule goes off the rails. Your wedding day should be enjoyed by all of your family and friends, but even more importantly the Bride & Groom! Every minute you spending worrying about linens or flowers, is time away from your special day. 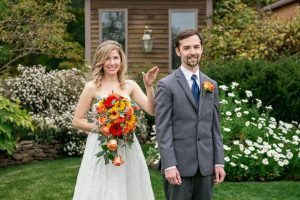 While there is no “secret sauce” for the perfect wedding timeline, there are of plenty of guidelines and tips to consider from the pro’s. After hundreds of weddings, this group of wedding vendors is sharing some of the goodies that we have picked up over the years. So let’s jump in! First Look or Aisle Reveal? This is really a personal choice and brides & grooms should make their own decision on this one. Here are the facts from a planning perspective… The First Look rocks! It’s no secret that we are huge fans of the First Look. 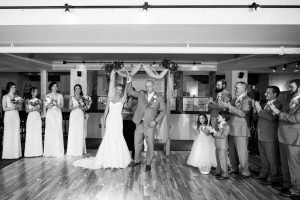 We have seen plenty of them as photographers to comfortably say that a First Look smooths out the timeline and helps with a stress-free day. If you want to read more about the many advantages, please visit the Our Approach section on our website or ask for a copy of our bridal guide. Wedding Planner or Fly Solo? We Understand. Everybody has a budget and this wedding is costing you enough already! Not every wedding needs a planner, however, every wedding would be ten times better if they had one! Wedding planners, even just a day-of coordinator, helps with everything! 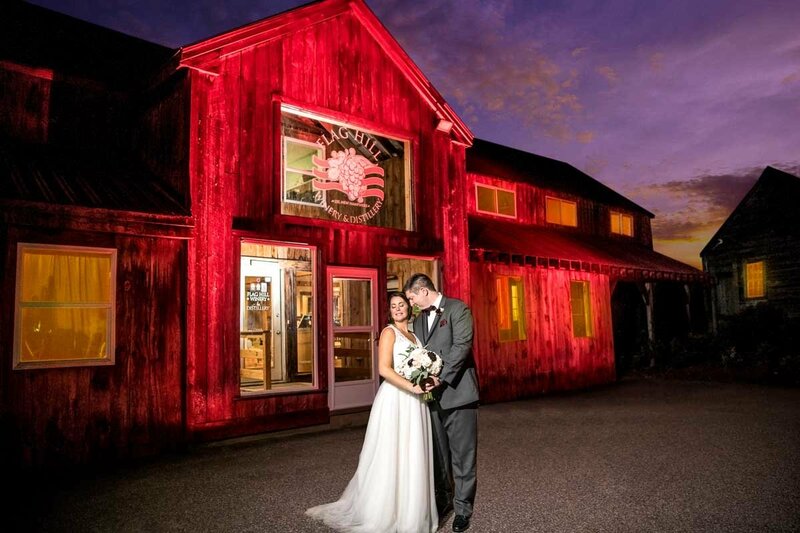 From coordinating all of your vendors, troubleshooting any issues that arise, assisting with photo’s, ensuring the day runs as on time as you’d like it to, and even coordinating all formalities from ceremony to reception flawlessly. Don’t confuse your venue coordinator with your planner, while they do play an important role, it’s really to ensure the receptions kicks off and catering runs smoothly. One option to consider is a “day of” planner if your budget is a bit tight to afford a full planner! You may very well be asking yourself, does that really exist? Yes, they do, and they are highly recommended! A day-of coordinator will ensure that your focus is your soon to be husband, not setting up your guest book or lining up your bridal party. The best day-of coordinators also ensure you eat and drink along with your guests instead of never getting to try that amazing steak dinner you selected at your tasting after only having a few bites! 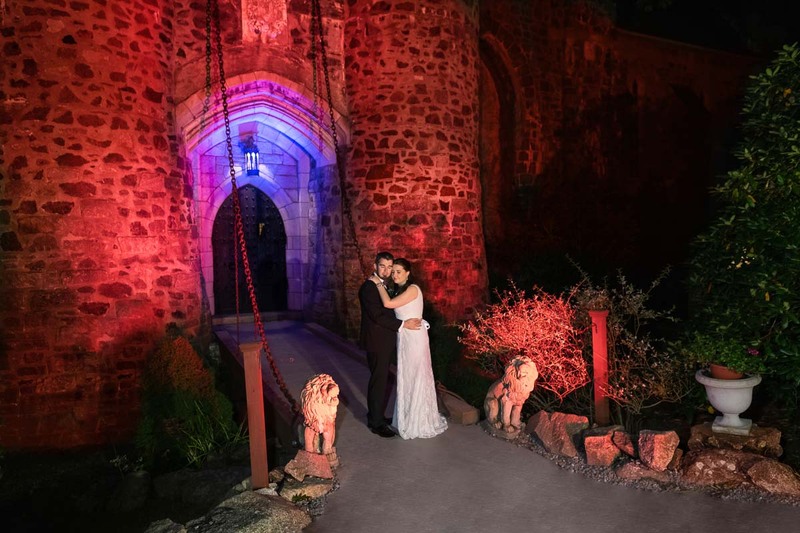 They will also coordinate all formalities with your DJ and the Catering team along with your Photographers and Videographers to ensure each vendor is on the same page in order to create a seamless flow. The second part of having a day-of coordinator is the peace of mind that everything gets handled and you don’t have to worry about a solution! All in all, a day-of coordinator enables you to enjoy your day and bask in all it’s glory and excitement! If you budget does allow for a full planner, this may just be the best decision you ever make. A full planner will help you to find several vendors in each category through hours of researching and negotiations, thus providing you with the best vendor options and the best pricing to go along with it! Every detail will be planned to perfection until you walk into your ceremony and reception space and have the “oh my gosh how is this so perfect” reaction. Full Planners are there to coach you through the ups and downs of wedding planning, as we all know, there are always bumps in the road. They are also there to provide a certain level of moral support as family and friendship elements may come about throughout the process. 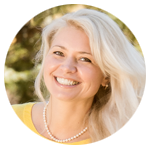 Acting as a great liaison between mother and daughter in order to find a happy medium is another benefit! 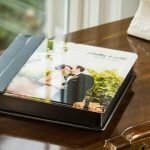 Bottom line, a planner, even just a day of, is the best investment you could possibly make for your big day! Choosing a venue is one of the biggest steps when it comes to wedding planning! Once you have a date and a venue, it’s a bit easier for everything else to fall into place. When you’re searching for the perfect venue, be sure to focus on the “bones” of the venue, and how they operate their events. The look of the space is less important, as anything can be transformed into your dream venue with a little imagination and creativity! You would be surprised how many people don’t spring for small upgrades, like colored linens, upgraded chairs, of some extra décor, in hopes of saving some money, but these small touches can make a huge difference in the overall look and feel of your reception! While brides are focused on selecting their perfect venue, they should also invest some time getting to know the venue coordinator! 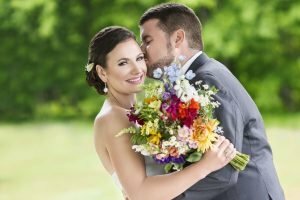 It’s important that you have a connection with the coordinator as they are going to play a huge role in your wedding day, and getting along well with them, or even becoming friends, can make your day even more stress-free. 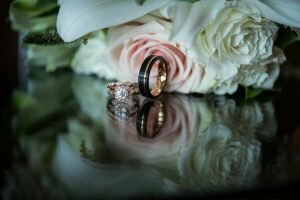 Take a moment and think about all of the events on your wedding day for a moment. That’s a quite a list to fit in your head! Narrow that list down to the really important events now. 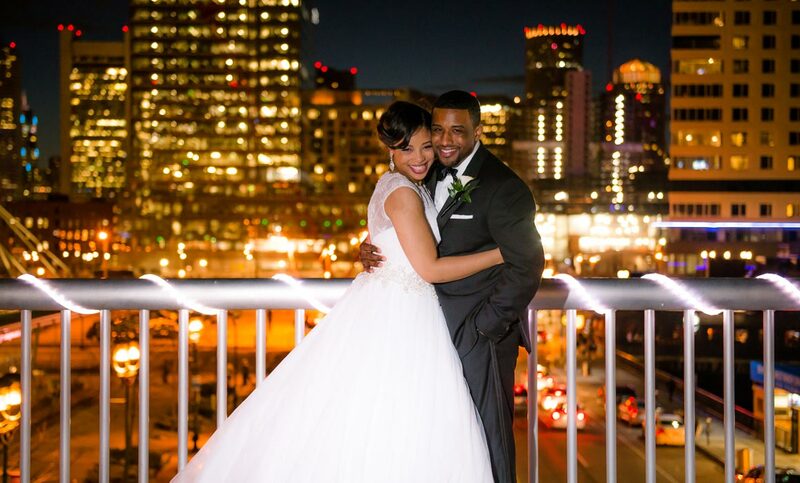 Your list includes the big events like your First Look, the Ceremony and your Reception. These are your cornerstone events that can’t move. If a cornerstone event runs late, it cascades into everything else. Build your timeline around these pillars and add some flex into that schedule! For example, it would be great to get all of the bridal party photos done before the ceremony. A reasonable backup plan may be to finish these during the cocktail hour. On your wedding day, when the Best Man’s truck breaks down you have a built-in contingency plan! Lastly, schedule in 30 minute chunks. Nothing on your wedding day will take less than ½ hour… trust us! The only trick here is to make sure that your timeline has enough flex in it to handle the unexpected events. To prevent delays with the hair and makeup process, have an idea in your head of what you would like because if you “leave it up to the professional” then you give no say in your makeup or hair. If you end up not liking it and ask for it all the be redone, you will need to be prepared for being the reason the bridal party is running behind. Plus there’s always the possibility of being charged twice for hair and makeup because they had to do it twice. 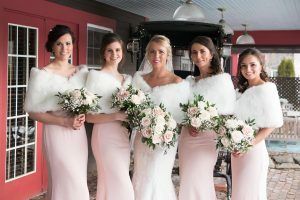 Find out from the bride if the makeup artist of hair stylist gave any instructions for the bridal party the day of the wedding. Your Makeup Pro will often say “clean your face with no makeup residue and moisturize.” Your Hair Dresser may prefer “dry and brushed out hair” to start. But every hair and makeup artist is different so never “assume” you know what’s needed, just ask! 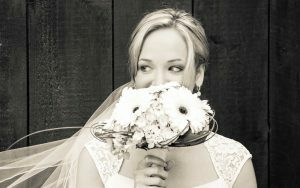 After your hair and Makeup are complete, your photographer takes reins along with your planner! 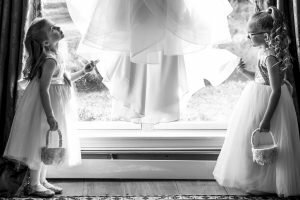 This is the window of time that your photographer earns their keep starting with your wedding details, your First Look, and into your Wedding and Bridal Part portraits. Our two tips are Prepare & Organize! Thoughtful preparation ahead of time is the most valuable step. Most photographers offer a Shot List of pictures. Great photographers will give you instructions on how and what to prepare ahead of time. Having a list of details items ready, including the rings, is one example of a big time-saver for your photographer. Also, a family shot list is really helpful. When building your shot list, keep in mind the order of the family shot is very important to create an easy flow & not keeping family members held hostage longer than necessary. Here’s a great discussion on how to Organize Family Photos more efficiently. Family photos can quickly become a hectic event. By this point in the day, the Bride and Groom are in a happy daze. 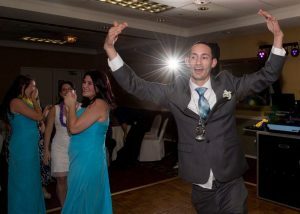 Now is the time an Event Planner can really help with organizing people for photos. The next best option is to appoint two family members from each side to help out. You know the people for this job already… it’s your outspoken Aunt or bossy Brother who can help corral family members for pictures. Preparing for your pictures is a partnership between you and your photographer. A shot list is a starting point. Having a detailed understanding of your wedding day timeline will help your photographer. Ultimately, your photographer should be aware of the people and relationships that are important to you. Here’s our Preparation page that has some resources that may be helpful to you. Make sure you have a well put together timeline specific to your DJ’s needs. This should include when they will arrive, exact song titles and performers for any songs during the ceremony, any special song requests or stylings for cocktail hour or dinner hour, introduction names and order, and any other special songs like your first dance, parent dances, cake cutting, introduction song, last song, and so on. It’s important that this timeline is exact, right down to names and how they will be pronounced phonetically, and when certain things will happen throughout the day. You can also include any do not play songs and please play songs for dancing at the end of this timeline, that way there is no miscommunication as to what is expected. Most people want “their guests to dance all night”, but do you understand how a DJ should be able to do that just based on playing songs that we’ve all heard many times before? It’s a combination of years of experience, understanding what songs work best for the crowd, the order to play certain songs based on the dance floor & finally using dance lighting to energize what each song is trying to convey! Using all these techniques along with mixing in and out of songs fluidly with intent, will create unique dance floor Excitement! Make sure your DJ is equipped with the appropriate backup gear. It’s rare that speakers break, but not all DJ equipment is fail-proof. The important backup equipment is a laptop, a secondary external hard, and of course a spare digital mixer, which is the heart of their system. If all else fails a DJ could also finish the night with an iPad and DJ app, but it requires them to have 100-500 preloaded “best of weddings” songs already loaded & ready to go. You can never have enough backups if you are a DJ. The night moves quick and if something goes wrong, they need to be able to act fast and make it a seamless transition. 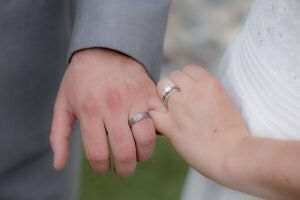 Ideally, you only get married once, don’t let the little things get to you, because at the end of the day, everything could go wrong but the only thing that really matters is that you are marrying your best friend and beginning your journey as husband and wife. Sometimes with all the craziness – this can get lost. 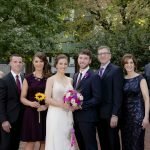 Consider the size of your Bridal Party when setting your start time! Consider bringing breakfast for girls too! It’s an important part of the story and we love having some time to shoot the dress, shoes, jewelry, invitations, etc. After the details have been photographed, it’s time for the bride to get into her dress! This is a big moment! Find you perfect location for the “First Look” prior to the getting ready portion of the day! Start your romantic portraits while the initial excitement is still present! Now it’s time for Bridal Party shots! The Bride freshens up after photos, while the Groomsmen prepare for arriving guests. It’s time to get married! Cherish these moments! Your ceremony will pass by so quickly! Extra time for Family Photos or join in the Cocktail hour! This is when the bridal party lines up for introductions and the party begins! 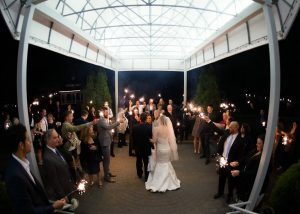 Plan your exit in style with a confetti or sparkler send-off! How to Keep Makeup Fresh? 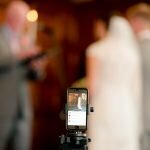 Photography tells your wedding story in pictures. Your album should bring you back to that day every time you open it. It’s best to save all of the family formals until after the ceremony, because all family members will be present at that time. We’ll need about 30 minutes for family formals. We will send you a Photo Checklist before the wedding to help you choose the shots you want. We recommend shooting portraits outdoors when possible. Outdoor lighting creates natural family portraits, especially if the ceremony location is shady! The best DJ is the one that pays close attention to what the crowd wants, and then gives it to them! Steer away from trends when you are planning your wedding. That trend might seem like a great idea today, but when your wedding day comes in 12-18 months, it may no longer be “in”, and you could regret that decision for years to come. Choose styles that are true to you and your fiancé – after all, this day is all about YOU! Want your guests to truly enjoy your ceremony? 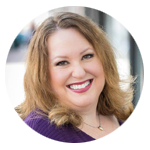 Consider an Unplugged event! Simply have the master of ceremonies make an announcement to enjoy the ceremony without their phones! First, they will enjoy everything more. You’ll also end up with uncluttered photographs! It also helps to place a sign at the entry point expressing your desire for an unplugged wedding ceremony. When it comes to song requests, make sure to limit them to under 20 for both “Do Not Play” and “Please Play”. If some of your “Please Play” songs are more special than others, call them “Definite Plays”, simply put a star next them or underline with a note. Any songs that have a special meaning (it’s your sorority song, your parents first dance song), note that as well — this will help your DJ know when to play it. For instance, if they see at one moment all of your college girlfriends on the dance floor, they know right away that the next should be the sorority song that you requested! Something will go wrong, it is inevitable, just ensure you have the right team to handle it so you don’t have to! Some people may say avoid sweating as much as possible, however, in the summer, this may be nearly impossible. Instead, invest in blotters and try to stay in an air conditioned space. Ask if the venue can place your wedding cake on a table with wheels -or- move it to the center of the dance floor for the Cake Cutting ceremony. The photographs will be able to capture great photos! Nancy resides in Salisbury, MA and has a home studio where she lives with her husband Dan and their cat Mia. She graduated with the honors of “DNI Pro” from David Nicholas International Makeup Training School. 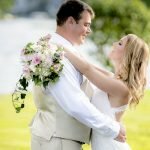 Lana is the owner of new England Wedding Photography based in Hollis, NH as serves brides from Maine to the Cape. 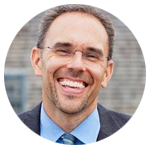 Ryan has over 500 weddings to his credit, along with an undergraduate and masters degrees in music (New England Conservatory). 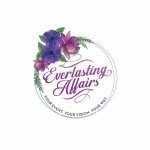 Victoria is the owner & founder of Everlasting Affairs, which provides a variety of planner services throughout New England. 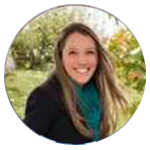 Danielle has 5 years of experience in the hospitality industry and enjoys making each couple’s day as special as they are! 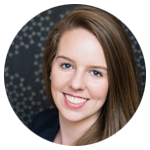 She has a Bachelors Degree in Business & Hospitality Management from the University of New Hampshire.